Renting a trade show exhibit might seem like throwing money away and a little non-committal. You might also compare it to a rock and roll band renting all their instruments and playing a less than fine-tuned show, rather than carry instruments they are more intimately tied to. The truth is, that for many companies, renting an exhibit versus purchasing makes all the sense in the world. With boundless design options and a variety of competitive solutions out there, renting may become your best option. After all, a trade show exhibit is one of the most powerful tools a company has to create a temporary but persuasive embodiment of the best it has to offer. Perhaps that’s why exhibits have traditionally been purchased in North America rather than rented. However, as companies have grown more sophisticated in their exhibiting strategies and rental inventories are more plentiful, it is now possible to rent displays in a wide range of styles and quality, which is why any company evaluating trade show displays should consider both rental and purchase. Budget and floor space are the only restrictions a company has when purchasing and designing trade show displays. There is an array of designs, materials, shapes, and functions available when purchasing an exhibit and any number of professional exhibit companies to design and construct it. There are also a variety of rental options available, although not all exhibit companies offer rentals. Many companies will create “turn-key” custom rental solutions. Recent trends indicate that the “your name here” trade show rental exhibit is going by the way-side for more customized solutions at rental rates. Given the cost of purchasing, storing, moving and setting up a display, renting has a lower upfront cost. However, long-term use over many shows may nullify those upfront savings. A lease to purchase option can also be a consideration if the exhibit supplier offers such services. 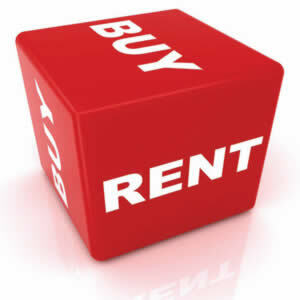 Another point to consider is the financial implications of renting versus buying. Purchase of a display is a capital expenditure, which can be amortized over an extended period. Renting is considered a one-time expense and is not amortized. The expense option has become widely popular over the last 24 months due to company restrictions of capital purchases due to cash flow constraints. Generally speaking, rentals make sense in situations where the exhibitor needs flexibility or might have scheduling conflicts. For example, renting is a good choice for a company that rarely participates in shows or is unsure if exhibiting will reap a return on investment. A company can make a better-informed decision by renting and experimenting before making a commitment. Another useful rental scenario occurs when a company launches a new product. Trade show displays specific to a new product can be rented without a purchasing commitment. There are also situations where a company that owns trade show displays will rent something more elaborate for a one time need. Perhaps to gain prominence in a new market or unveil a new product, a company will host a large, island exhibit. Even if the company owns its own inline display, for this event they will rent a custom installation. There is something to be said for consistency in trade show displays. Keeping a consistent look and feel is much easier with a purchased display. For a company with a busy trade show calendar, it may be challenging to effectively brand and execute a rental solution without an up front plan of attack. Ultimately the decision on whether to rent or buy is bigger than the price tag. Both have their place in the world of trade show exhibits and each fits well into different.